By now we have figured it out that Hillary Clinton didn’t have any interest in building and protecting Americans. Her only loss was money, and never the well-being of the American people! Now, one thing after another is released about Clinton’s corruption. The amount of corruption coming to light is absolutely overwhelming. On April 16, the Committee to Defend the President filed suit against the FEC for failing to take action on a report submitted last December. The report lays out evidence of Clinton laundering money through state offices in order to avoid federal campaign laws regarding donation limits. In addition, this was all taking place whilst she reportedly was in control of the DNC and its finances. 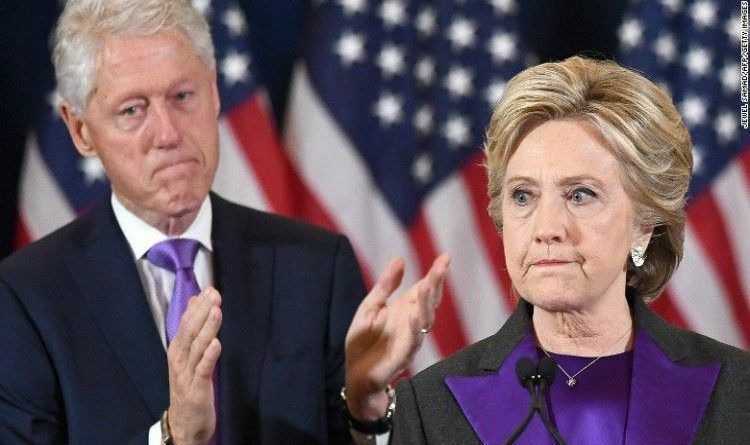 Via Investors: The Committee to Defend the President has filed an FEC complaint against Hillary Clinton’s campaign, Democratic National Committee (DNC), Democratic state parties and Democratic mega-donors. As Fox News reported, we documented the Democratic establishment “us[ing] state chapters as straw men to circumvent campaign donation limits and launder(ing) the money back to her campaign.” The 101-page complaint focused on the Hillary Victory Fund (HVF) — the $500 million joint fundraising committee between the Clinton campaign, DNC, and dozens of state parties — which did exactly that the Supreme Court declared would still be illegal. “Here’s what you can’t do, which the Clinton machine appeared to do anyway. As the Supreme Court made clear in McCutcheon v. FEC, the JFC may not solicit or accept contributions to circumvent base limits, through “earmarks” and “straw men” that are ultimately excessive — there are five separate prohibitions here. There is no limit or end to the Clinton Crime Family’s crimes! Evidently, there is more fraud, and crime going on between the Clintons and Obama, even Al Capone wouldn’t qualify for their team. The corruption is endless. This woman is neck deep in the swamp. With the money, we spent on a frivolous investigation of Russia and Trump we could have jailed this felon. I mean really – isn’t it time to put a lesson in place for those politicians that believe that they are above the law? Despite the entire debacle painting a picture of a massive scandal dipped in criminal intent, the mainstream media has been mostly silent. Where is the investigation and the ‘no-knock warrant’ over Hillary Clinton and the DNC’s payment for the opposition research dossier? Unquestionably irrefutably for the campaign. Yet lied about and never declared. Share this news because the MSM will stay silent! ← Reporters Shout At Sarah Sanders As She Enters The State Dinner With France -Her Answer Made Them Regret Their Decision!